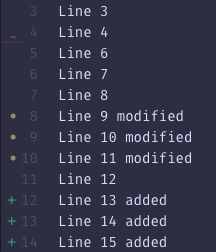 This aligns the git-diff icons when the line numbers increase in digits. The icons are also slightly smaller to make it feel less cramped. 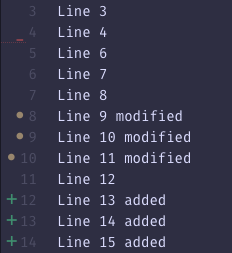 We could move the icons to the right of the line number, but there are issues, see #18684. Also, it's nice having the fold icon close to the indent guides.